A-HOTEL.com - Luxury and cheap accommodation in Golovachëvo, Russia. Prices and hotel, apartment booking in Golovachëvo and surrounding. Guest house Distantsiya is located in Lukhovitsy. With barbecue facilities, the property also features a garden, as well as a bar. 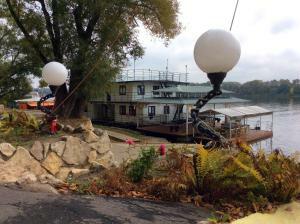 Mini Hotel Pyaty Okean is located in Lukhovitsy, only 200 metres from Lukhovitsy Train Station. Free WiFi and free private parking are provided. Set in Kolomna, within 16 km of Kolomna Museum of Pastila and 17 km of Kolomna Skating Centre, Gostinichny Kompleks Podsolnukhi provides free WiFi. Offering a restaurant, the property also has a shared lounge. At Aerograd Hotel you can enjoy a rich variety of activities including sky-jumping, paintball and volleyball. It is located near the Aeroclub, 12 km from Kolomna town centre.